Chiara D’Agostino shares her story about clinical trials and ACA. Thank you Chiara for sharing your story. I was diagnosed with stage 3 triple negative breast cancer in October 2014. 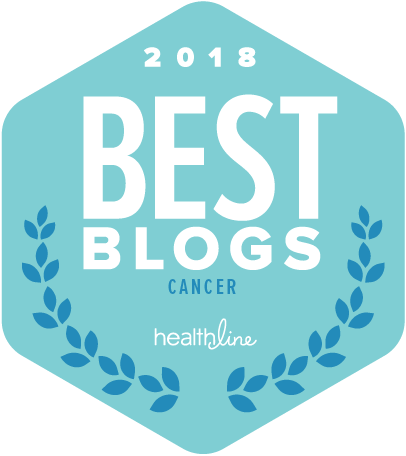 Two years later to the day I started treatment for triple negative metastatic breast cancer – the cancer had spread to my sternum, liver and lungs. The primary cancer was treated with ACT chemo therapy and a double mastectomy. All four oncologists I consulted with for my secondary cancer suggested that I look for a clinical trial this time around. I was diagnosed with stage 3 triple negative breast cancer in October 2014. 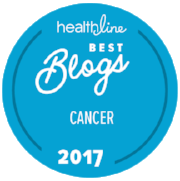 Two years later to the day I started treatment for triple negative metastatic breast cancer – the cancer had spread to my sternum, liver and lungs. The primary cancer was treated with ACT chemotherapy and a double mastectomy. All four oncologists I consulted with for my secondary cancer suggested that I look for a clinical trial this time around. Since September 2014, I’ve been on Horizon NJ Health Family care, obtained through the Affordable Care Act. Obamacare has paid for all of my treatment for cancer up until now, including scans, lab work, surgeries, hospital stays, emergency room trips, radiation, chemotherapy and doctor appointments. I’ve had to reapply every year for Obamacare; this year my approval arrived just days before my scheduled surgery. Obamacare has not let me down. Most specialists I need to treat my metastatic breast cancer accept my insurance. I need to bring a referral with me to each appointment and thankfully the office staff at my PCP is very attentive. The referrals add another step to seeing a doctor, but I find this a small inconvenience for affordable healthcare. Obamacare has its limits: medical care is only covered in state. Luckily, I live in suburban NJ close to reputable hospitals, that offer clinical trials. The hospital where I’m now being treated is Rutgers Cancer Institute of New Jersey recognized by the National Cancer Institute, and I feel like I am in very good hands. I’m incredibly fortunate that I found a clinical trial that I qualify for at a hospital that in my state that accepts my insurance. When I was shopping for trials, I wanted to consult with a well-known triple-negative breast cancer specialist in the tri-state area, Dr. Linda Vahdat of Cornell Weill or Dr. Tiffany Traina of Memorial Sloan Kettering but the hospitals wouldn’t take my insurance. Since MSK has a NJ branch, my PCP and I wrote letters to Medicaid but my requests were denied. There was a clinical trial at Cornell Weill I would have liked to have been tested for but I couldn’t and I just didn’t dwell on it. I focused on working with what I had, Obamacare, and my coverage was actually quite good. One question that still puzzles me is since pharmaceutical companies pay for the clinical trial, why can’t I receive treatment at an out of state hospital? I’m now on a Phase 2 Keytruda (Pembrolizumab) clinical trial out on by Merck Pharmaceuticals. I’m given an infusion every 3 weeks at Rutgers CINJ and I adore my oncologist, Dr. Kim Hirshfield. So far, I haven’t had any side effects and my tumor markers have gone down 1,000 points (from 1,200 to 200). Every three months of treatment my body is scanned and the January 2017 results shows my tumors shrinking, hallelujah! I know the Affordable Care Act is not perfect, but it has been close to perfect for me. I was diagnosed with an aggressive form of breast cancer after I took a year off from my teaching career to get a Master’s degree. Before I could find employment, I found a lump in my breast; luckily I signed up for Medicaid before my diagnosis. If it weren’t for Obamacare, I have no idea how I would have been able to pay and continue to pay, for treatment of my aggressive breast cancer – I’m single, unemployed and have recently used up my savings. Hopefully, the replacement for the Affordable Care Act, aka Obamacare, will not abandon those of us with pre-existing conditions.